As part of the ‘New 52’ – Red Hood & The Outlaws interested me!. 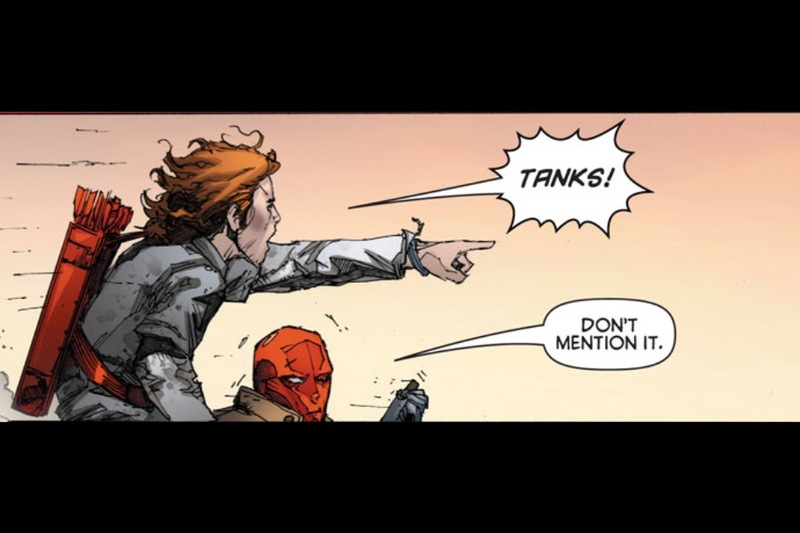 Red Hood is one of those characters who has been abused by some and enjoyed by others. I enjoyed the character and his link to the Bat family, but hisÂ divergenceÂ from their ethos also worked for me! There has been a lot of controversy over the treatment of Starfire in this issue. While I do agree to an extent, I am willing to overlook this for now to see where her story is going! 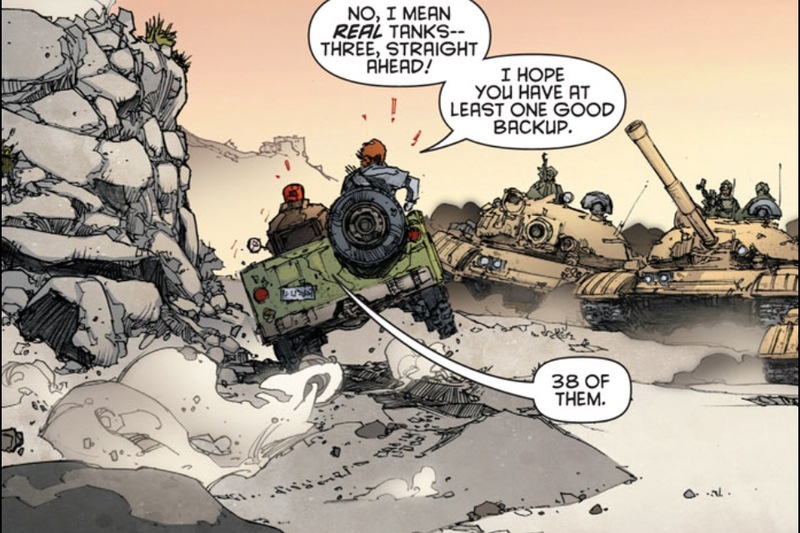 There was what you wanted otherwise in a #1 here – a nice rounded story, which will set up the rest of the series. This will definatly be one of my monthly pick up! The digital edition shows why it can be fun to read them in this format – with the two panels below showing it best. When you read on paper, your eye can sneek forward – you don’t get that here so it adds to the fun!